Although Swiss, Belgian or French are synonymous with high quality chocolate production, we should not underestimate the importance that Spain, and specifically Barcelona, has played in the history of chocolate and its introduction into the Old World. 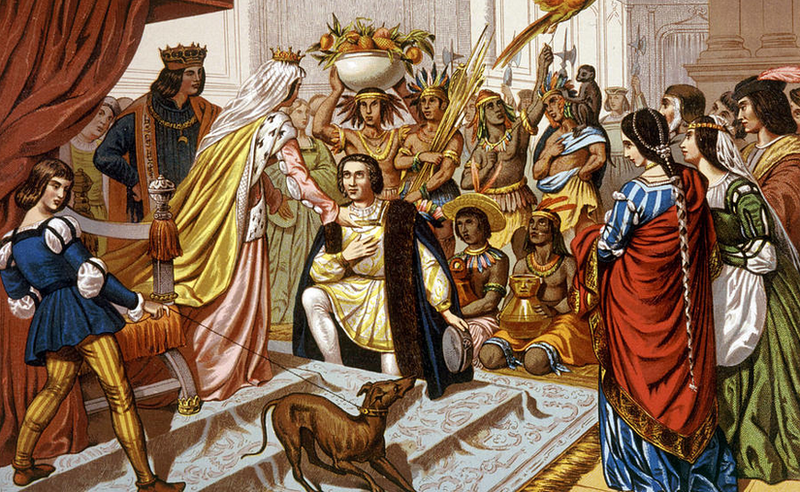 For instance, did you know that in 1520 the first ever unprocessed cocoa beans arrived into the Port of Barcelona, brought back by Christopher Columbus from the Aztecs in the Americas before being presented to King Ferdinand of Aragon and Queen Isabella of Castile? Back in the New World cocoa beans were used to make a drink, and despite initial reluctance the consumption of hot chocolate, usually with the addition of sugar, became very popular in Spain, well before it became known or adopted elsewhere in Europe. And thus begun a well established love affair with this delicious and decadent substance. Today here in Catalonia chocolate (chocolate in Spanish, or xocolata in Catalan) is consumed and celebrated in many different forms. Read on for our guide some of our favorites. Not unique to Catalonia, but nevertheless still a delicious and traditional way to start the day… Or maybe even conclude a long night of partying, is to eat molten chocolate in a glass, so thick that you can stand your spoon in it, served with a hot plate of freshly prepared, sugary donuts. 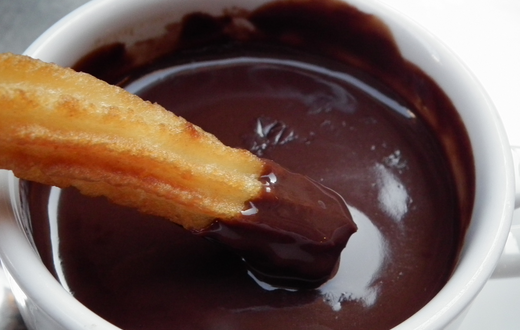 These churros con chocolate (xurros con xocolate in Catalan) are not the sort of thing you should add to your regular diet, but once in a while they are a real treat! Dotted around the city are many cafés and dedicated churrería/xurrerias serving up churros con chocolate, but why not ask us for our recommendations for one of our favorites – don’t forget to tell them that Hi. 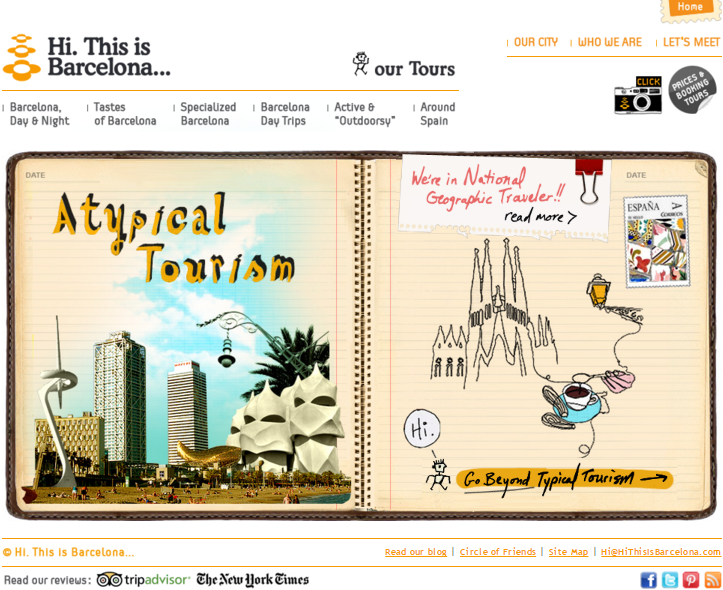 This is Barcelona… sent you! Originally devised as being a way of utilizing superfluous whey, I think the heads of the Letona dairy company could not have predicted the popularity of their Cacaolat chocolate milk shake when it was first launched in 1933. This winning combination of milk and cocoa was formulated in Barcelona and has been a household name for over 80 years, enjoyed by young and old, and taken all year around – served chilled in summer or hot in winter. Look out for it in local cafés and grocery stores. At very much the other end of the chocolate spectrum comes the master chocolatiers. Barcelona is home to a number of exquisite, high-end, artisan chocolate workshops who’s delicious offerings are sourced from the world’s finest cocoa producing countrie. Their creations are available to buy over the counter, or served up on the menus of many of the city’s best restaurants. 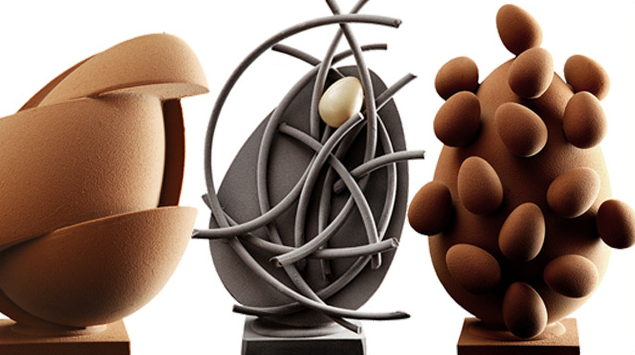 If you are in Catalunya in the run up to Easter Sunday you cannot fail to come across some rather intriguing creations called monas de pascua, which are almost exclusively made out of chocolate (monas de chocolate), although that was not always the case. Traditionally these were sponge cakes decorated with real, whole, boiled eggs, up to a total of 13 in number, which would be given by god parents to their god children on Easter Monday. The eggs were mean to symbolize re-birth and resurrection, and during the run-up to Easter Sunday catholics would refrain from eating such things as meat and eggs; so by the time the Easter festivities arrived there would be a stock pile of eggs that would need to be used – hence the use of eggs as decorations! Over the decades these cakes have become increasingly more spectacular, featuring incredibly elaborate chocolate designs and for the gourmet chocolate houses have become the perfect vehicle to show off their skills working with chocolate. If you’d like to see an incredible collection of monas outside of the Easter holidays head to the city’s chocolate museum. And finally, the use of chocolate in Catalunya is not limited to sweet things, it is not uncommon to find it many Catalan classic savory dishes. Check out the following video for one such example. Want to know more? Why not talk to us about our private chocolate tours? Local choclate expert, and the leader of Hi. This is Barcelona’s… private, customized chocolate tours, Cristina Garcia will take you to a number of specialist chocolate shops and workshops for tastings and to see master chocolatiers at work. Note: all of our tours are tailored to your specific requirements. Click here to get in touch. This entry was posted in Barcelona and around, Food and Drink and tagged Barcelona, Catalan Culture, Cataloan cuisine, Catalonia, Chocolate, Monas de chocolate, Monas de pascua, Xocolata. Bookmark the permalink.